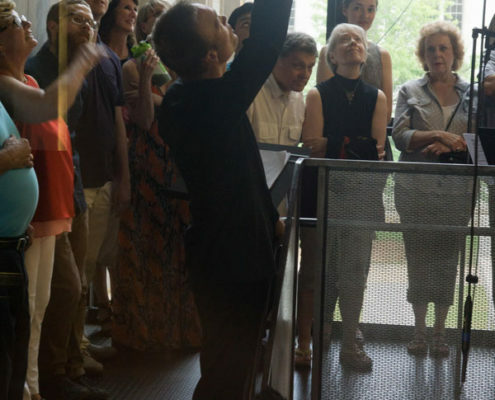 A site-specific piece composed by Paul Haas in 2016 for the occasion of the 70th anniversary celebration of the Fay Jones School of Architecture and Design. Performance: 5:30 p.m. August 27, in Vol Walker Hall on the University of Arkansas campus in Fayetteville. Guests should gather outside on the building’s south side. This movement takes place outside on the south side of the building. 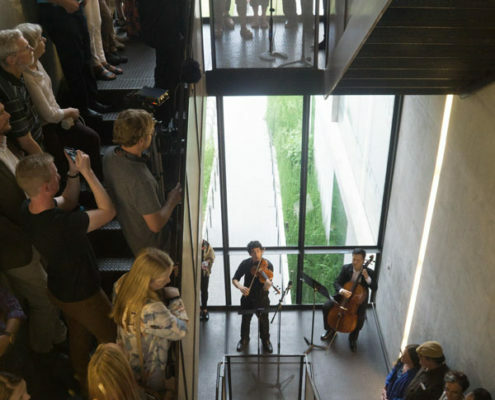 It is meant to welcome the audience into the building and into the piece. It is based musically on a “mystery” theme that is core to the University of Arkansas experience. 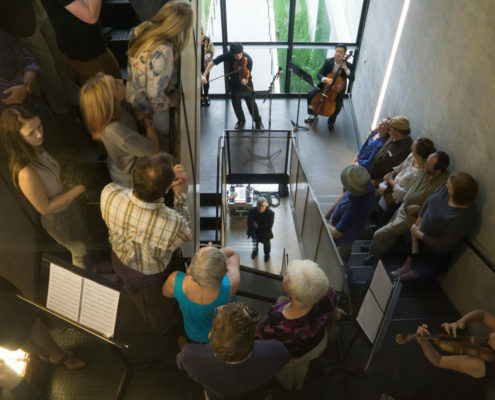 This movement takes place on the ground floor, where the two buildings come together, with the ensemble spreading up and into the second floor, utilizing both staircases of the old Beaux Arts building. It is meant to convey a sense of mystery and awe, to capture the feeling of new students as they enter the building for the first time: an intimation of the astounding feats that will become possible for each student as he or she progresses in knowledge and experience. 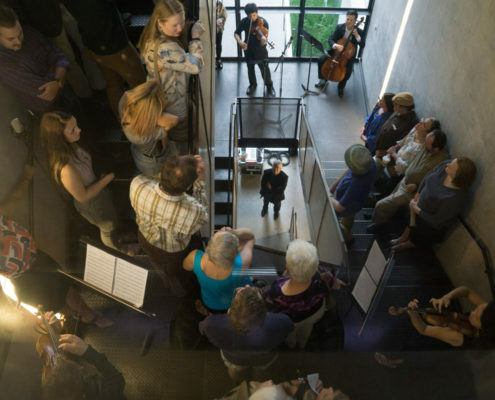 This movement takes place in the south staircase of the new addition. 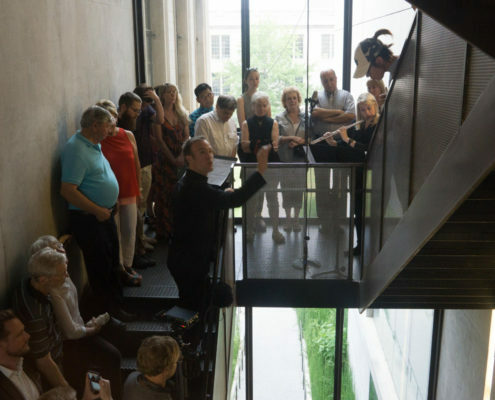 It represents the journey undertaken by each student during his or her time in the Fay Jones School of Architecture and Design. 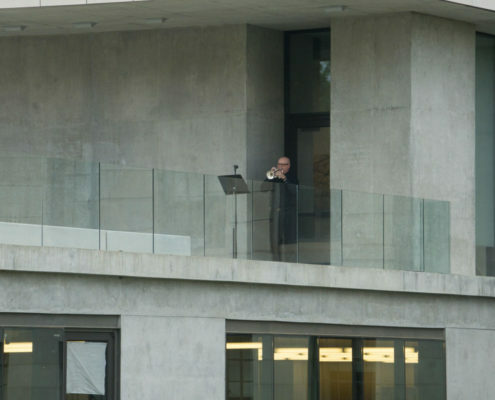 The two trumpets depict the student/teacher relationship: the teacher leading and demonstrating what is possible, and the student following and simultaneously developing his or her own voice. 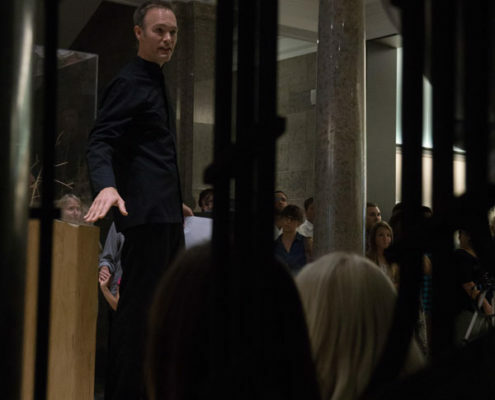 Paul Haas is a conductor, composer and installation artist and serves as Music Director of the Symphony of Northwest Arkansas (SoNA).